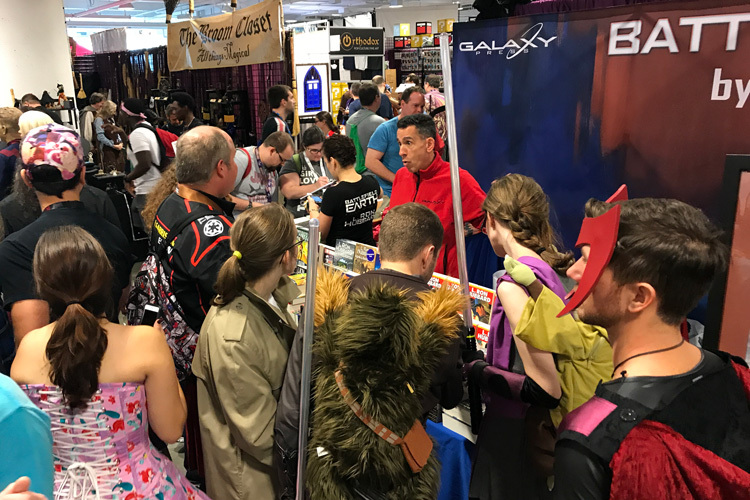 Today was the first day of Dragon Con in Atlanta, GA and it was jam-packed all day long. Sales at the convention started at 10:00 AM and it was a full booth at the start all the way to the end of the day. Both Battlefield Earth and Writers of the Future are in great demand. 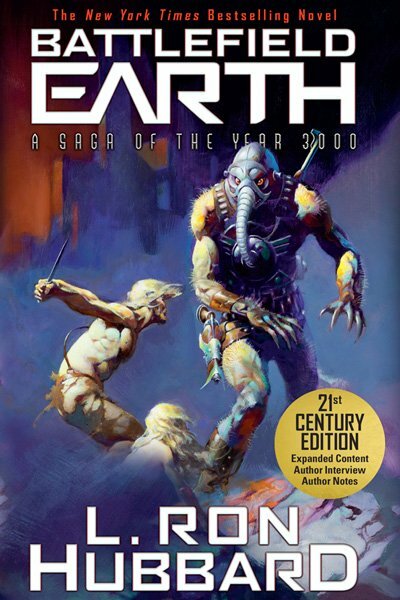 Books-A-Million staff are also on hand helping with sales for the release of Battlefield Earth mass market edition. 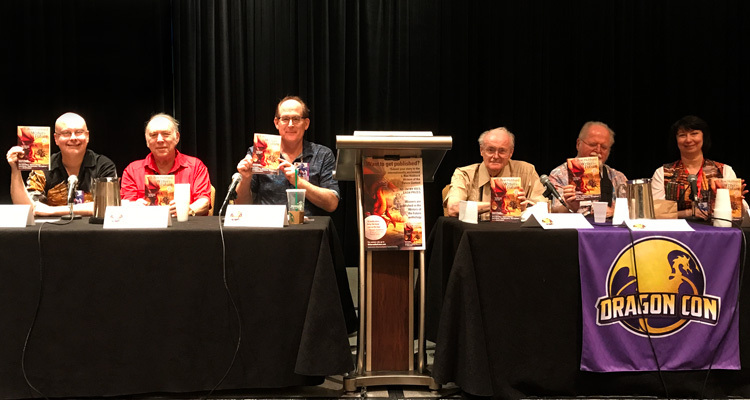 Following that, we had our Writers of the Future panel with several of our Writers of the Future judges including: Rob Sawyer, Mike Resnick, Todd McCaffrey, Jerry Pournelle, Larry Niven and Jody Lynn Nye. 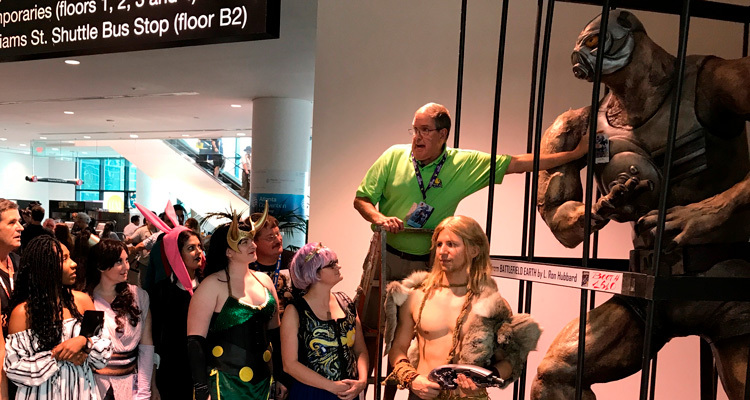 Then the President of Dragon Con, Pat Henry, having seen the 9′ tall Terl in the hall, wanted to make sure that he didn’t get in without a badge. So he was provided a ladder that he climbed up to put a badge on him. Along with him was Jonnie Goodboy Tyler making sure he was safe as he placed the badge on Terl’s chest. Terl, being Terl, also didn’t waste any time creating trouble. 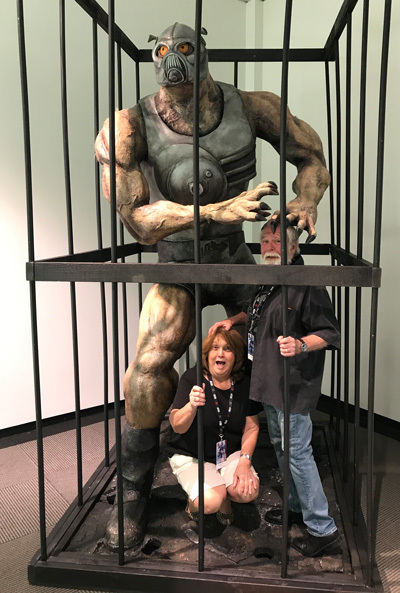 He grabbed Larry Elmore and his wife Betty thinking he could get some leverage. Fortunately, both were rescued from the clutches of the 9-foot monster in time for dinner! 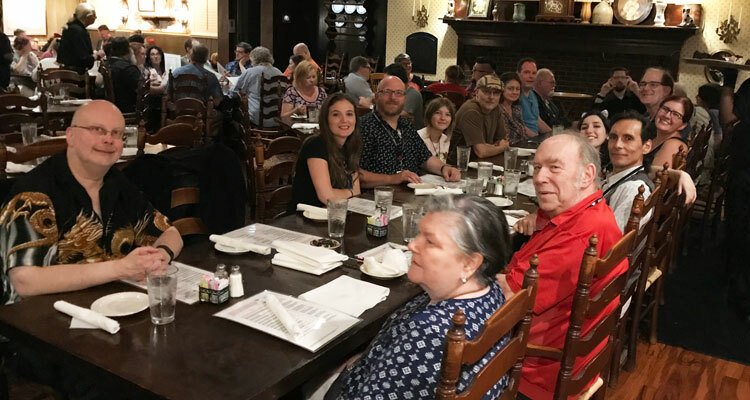 The evening completed with a dinner with almost all the attending Writers and Illustrators judges at the Dragon Con.